We’d love your help. Let us know what’s wrong with this preview of The Stoner Stories 1-5 by Frank Westworth. To ask other readers questions about The Stoner Stories 1-5, please sign up. Blackmail, brawling, knife fights and gun play – it’s all in The Stoner Stories, although Stoner himself frequently plays second fiddle to an assorted cast of well-constructed characters. Soldiers, hookers and men from the ministry, many of whom play a pivotal part in the subsequent Killing Sisters series; all make their entrances in these quick thrillers. Yet you don’t need to have read any of Westworth’s full-length novels to enjoy these rapid reads; you just need to know that you’re seeing one incident in a much bigger picture. You get the impression than when you reach the final page, the characters’ lives continue weaving truth and lies, betrayal and bloody vengeance… even when we’re not watching. Last year I read the first 5 shorts in the Stoner series by Frank Westworth. I was very kindly gifted the first book but I happily purchased the rest in the series I enjoyed the first that much. I was lucky enough to be offered the chance of a copy of the anthology containing the shorts I’d already reviewed but with the added advantage of an extra tale for me to enjoy! Looking at the Stoner Stories collection as a whole.. what does it offer you over the purchasing the single stories?? Well to be Last year I read the first 5 shorts in the Stoner series by Frank Westworth. I was very kindly gifted the first book but I happily purchased the rest in the series I enjoyed the first that much. I was lucky enough to be offered the chance of a copy of the anthology containing the shorts I’d already reviewed but with the added advantage of an extra tale for me to enjoy! Looking at the Stoner Stories collection as a whole.. what does it offer you over the purchasing the single stories?? Well to be quite honest the anthology offers value for money. It’s currently £1.99 on kindle which is a steal. As I also mentioned you get an extra story in this anthology too, SPECIAL RELATIONSHIP. This short builds nicely on the series as Stoner becomes more established and it was a treat to see Stretch in this one as he’s one of my favourites in the series. I’m not going to spoil the tales for you. What I will tell you is Frank likes to keep you guessing right until the end..you really don’t know where the tale will take you or what will happen to Stoner next. I enjoyed reading all the stories individually last year but the collection is so much stronger together. Short tales for me are easy to forget sometimes..not that they don’t stick with you but you’ve got to work hard in 50 pages to hook a reader in..this collection perfectly keeps you hooked as you can go from one story to the next and really helps me as a reader enjoy the characters. The Stoner Collection is full of twists with intriguing characters. Frank Westworth leaves you wanting more and with a short tale that’s never a bad thing in my book..you want to feel like you get value for money (which you certainly do) but you want to know there’s more to come and that the author is hooking you in for future tales. This collection is highly recommend for anyone who likes shorts like myself, like a bit of a thriller but don’t want the word count or if you just want to try something new. Great book for a bargain price! Check it out. I thoroughly enjoyed these stories and JJ is a great protagonist. I loved his stoic nature coupled with his humour. I also like that the majority of the characters in these stories have the same nature and humour as JJ – mainly because his associates are all [ex] army, navy, SEAL, or some way military inclined (JJ doesn’t have friends!) The Stoner Stories is the perfect read for fans of action adventure thrillers; they feature a lot of violence but it’s not that ‘hard-to-read’ kind of violence. I thoroughly enjoyed these stories and JJ is a great protagonist. I loved his stoic nature coupled with his humour. I also like that the majority of the characters in these stories have the same nature and humour as JJ – mainly because his associates are all [ex] army, navy, SEAL, or some way military inclined (JJ doesn’t have friends!) The Stoner Stories is the perfect read for fans of action adventure thrillers; they feature a lot of violence but it’s not that ‘hard-to-read’ kind of violence. Each story had a clear beginning, middle and end and over the course of the book, you really grow fond of JJ. I’m delighted to see Westworth has written full length novels featuring JJ and I look forward to reading them. This is one of the most fun and enjoyable collections of short stories I’ve read and I highly recommend them. I have read and re-read the short stories of the Stoner Series. I found reading twice especially helpful since, as an American, I’m not intuitively familiar with some of the idioms, colloquialisms, and slang in use in the UK. While some references were more easily understood via context, I must admit others left me momentarily confused, necessitating an occasional Google search. Thus more adequately informed and suitably bolstered, the second reading allowed me to more fully appreciate the chara I have read and re-read the short stories of the Stoner Series. Thus more adequately informed and suitably bolstered, the second reading allowed me to more fully appreciate the characteristic flow of the narrative—a damned good thing, too, because once started one cannot put any of these tales down. These stories stand alone on their own merit; but I confess I couldn’t help but see them played out in the theater of my mind as a series of interconnected acts in a gritty black & white film noir, its ethereal sense of resolution dangling just beyond the grasp of the anxious audience. Man, what a screenplay this would make—or a graphic novel! Hmm, maybe too graphic; but alas, that’s another discussion. There’s a raw, yet honed edge to the character of JJ Stoner, a man without apparent qualms or conscience, driven by a personal code appreciated by only a select few, and often underestimated by most. In First Contract, he’s manipulated—more than once—yet remains stoic, the reader understanding there will be an accounting. In Two Wrongs . . . Stoner morphs into a support role for a newly introduced protagonist, MCPO Stretch McCann, of whom the reader will come to recognize as a competent contemporary and occasional companion when mission circumstances dictate a two-operative approach. The over-arcing threat of the Boston Irishman thrusts Stoner back into the role of concerned protagonist. Third Person is a surprise departure from the foregoing narrative style—a new POV, crafted in first person (no pun intended), present tense, a worthy challenge indeed. Yet, it works quite well. Bernadette of the Garda; yes, we suspect we’ll see more of her. Four Cornered brings known characters together in certain anticipated, and unanticipated ways. It is difficult to discuss without revealing spoilers, so I’ll demure. Suffice to say, the reveal in the final scene did surprise me . . . yet, maybe it shouldn’t have. Fifth Columnist puts Stoner back into a support role for Sgt. Shard Harding, as protagonist. Alas, another tale that proscribes too much discussion for fear of the inevitable spoilers. However, I must say the twist at the end is superb. Special Relationship has a climatic undercurrent, and the character list grows. However, it does not resolve the overall story arc—the Boston Irishman. I’ll admit I didn’t really want it to end. The Corruption of Chastity (a lagniappe bit from an upcoming novel) . . . What can I say? The excerpt was particularly disturbing—I realize that was the intent. The graphic violence serves its intended purpose; but, it will put some readers off. JJ Stoner is definitely not your typical action hero. He's a hard drinking, guitar-playing, Harley Davidson motorcycle-riding Alpha male who kills for a living but does it often with wit and humor. How did he arrive at this station in life? Well, here's the back story. Stoner was a British soldier serving in Iraq when a situation arose and led to some unjustified murders. On the hook and facing both a dishonorable discharge and possible time in the brig, Stoner takes advantage of the only feasibl JJ Stoner is definitely not your typical action hero. He's a hard drinking, guitar-playing, Harley Davidson motorcycle-riding Alpha male who kills for a living but does it often with wit and humor. On the hook and facing both a dishonorable discharge and possible time in the brig, Stoner takes advantage of the only feasible option. Approached by a stranger known as The Hard Man -- a highly-placed spook from an intelligence agency -- Stoner leaves the military and accepts a bundle of money in return for his professional killing skills. The book is actually an anthology of short stories -- First Contract, Two Wrongs, Third Person, Four Cornered and Fifth Columnist. Through each the reader learns more about the ex-sergeant, how he thinks and what sort of mayhem he's capable of carrying out. Intrigued by creative ways to kill people, Westworth once pointed out in an interview that murders are often disguised as accidents. Professional killers don't accomplish their missions by airstrikes and long-range missiles. They work close up with pistols, sniper rifles, rockets and knives. Sometimes they devise more entertaining methods. As the author noted, deaths are mostly accidental or done for money or out of passion. "Even the deliberate and premeditated deaths which define an actual murder – are pretty mundane," he said. Novels, on the other hand, are written to entertain, which means the author is challenged to make those murders more interesting. Westworth strives to write about killer characters who "are decent humans, not stone killers, psychopaths or the deviant fruitcakes so popular in the movies and on the telly. OK, so they’re killers – that’s what soldiers do – but they do not revel in it." Ex-soldier, and sometimes assassin, J.J Stoner has always lived above the law. When he is approached and handpicked by a mysterious man, known as “The Hardman” and is offered a substantial lump of cash in exchange for a hit, Stoner finds himself as a secret weapon, a type of mercenary, for the British government. The Stoner Series is an anthology of short stories, by Frank Westworth, that follows anti-hero J.J Stoner. This anthology contains the first five stories: First Contact, Two Wrongs, Third Person, Four Cornered, Fifth Columnist, and Special Relationships (a sneak peak!) in the J.J Stoner series. Each of these thrillers can be read as a standalone, but they are quite entertaining to read all as a collection. Each story follows Stoner as he interacts with his kills and completes his various operatives. The stories, themselves, sort of read like an episode of Sons of Anarchy if they took place in a James Bond world. They are all motorcycles, mischief, and mayhem without any gentlemen pleasantries. My favourite story was First Contact; I loved getting to know a little bit of backstory about Stoner and after the initial shock of how blunt Westworth is in his narrative style, I kicked back and enjoyed. Stoner, as our heartless assassin, is actually quite likable. He is dangerous, complex and an all around badass. I loved the banter that Stoner has between whatever police or law enforcement he encounters. His nonchalance and wittiness ended up being a real treat to read. There were moments in each of the stories that I found to be a little overwritten. I found myself wanting more direct banter between Stoner and those around him and less about other characters. I also found it a little confusing at times to figure out who some of the newly introduced characters were and how they connected; this is typical of how I feel during a short story, especially since the author only has a short amount of time to introduce, escalate and finalize the plot. 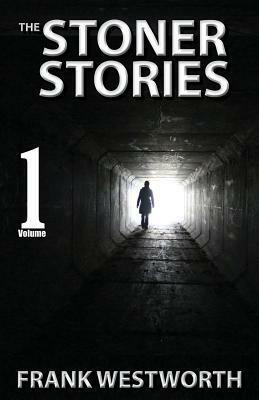 Overall, I enjoyed The Stoner Stories anthology by Frank Westworth. I’d give this one a read if you enjoy a thriller that is fast-paced and ruthless.